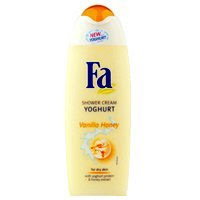 Fa Vanilla Honey Yoghurt Shower Gel is one of my favorites. With a creamy texture and a gorgeous vanilla-honey fragrance, slathering this cream on my body makes for a wonderful, yummy, luxurious bathing experience. It’s quite moisturizing too… my skin feels so soft and smooth… there’s also subtle hint of scent that lingers on after the shower. Fas exclusive, non-soap formula is said to contain a special protein factor that moisturizes the skin and maintains its natural balance and moisture, leaving your skin tangibly smooth and vitalized… I just can’t get enough of it and wish to buy it again and again. And oh, it’s dirt cheap too !!! 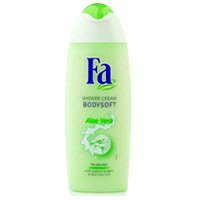 I have to try the other variant as well – the one for dry skin - Fa Shower Cream - Yoghurt Aloe Vera. With the goodness of aloe in it, I believe that’s a wonderful product too.